Daily Mirror - PM Cannot be removed: 19A Clear and Unambiguous? PM Cannot be removed: 19A Clear and Unambiguous? ‘The following Article is hereby inserted immediately after Article 33, and shall have effect as Article 33A of the Constitution:- 33A. The President shall be responsible to Parliament for the due exercise, performance and discharge of his powers, duties and functions under the Constitution and any written law, including the law for the time being relating to public security,’ HE’s wings clipped? Does it mean that the Executive President’s decisions can be overruled by the Parliament? Over to you the Constitutional Experts! State Machinery Ground to a Halt? Work at ministries and departments has ground to a halt under the political turmoil following the announcement of LG election results. 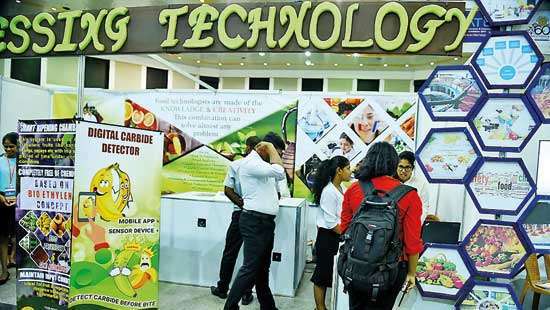 The whole state machinery is working at a snail’s pace with many officials adopting a cautious wait and see approach in exercising their administrative functions. 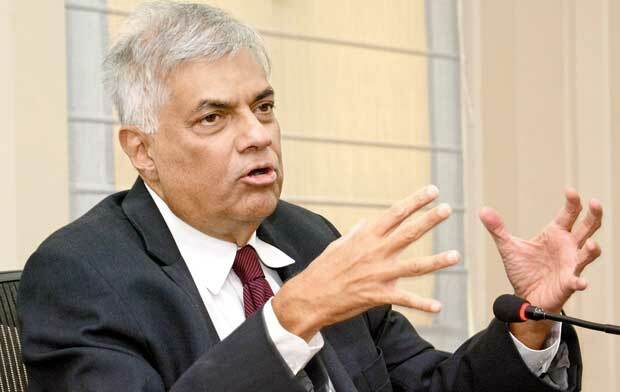 The Maithri-Ranil unity government is undergoing a crisis after the crushing defeat faced by the two main parties of the coalition, and an unexpected triumph to the new party, the SLPP backed by the former president. We correctly predicted in these columns just before nominations, warning the Sirisena faction to face elections as a combined force with its governing partner to prevent a situation of fighting for fourth place with JVP. 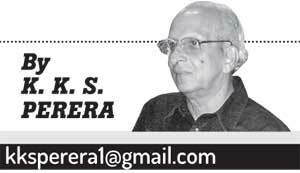 There are of course so many reservations about the Maithri-Ranil Yahapalana administration. It is a disappointment in the ‘model of governance.’ Socio-economic issues of the majority of the people are not addressed; Reconciliation front not progressed much as expected. They say it is only a RED light. ‘Red, Amber and Green— the traffic lights are seen’. The red is on top, it says, “You must stop.” The green at the bottom says, “You may go.” The amber stands in between. We highlight the above saga to help the readers who failed to comprehend the reality listening to the pundit political analysts and spin-doctors who cover a lion’s share in the electronic and print media for the past few days. They are entangled in a mathematical quagmire attempting to turn and twist the results, even add and subtract percentages in the process. Back to our newly elected Member who happened to be the grandfather of the Independent group team leader’s driver, a cultivator from a remote village who had little knowledge of what transpired in his own Pradeshiya Sabha on February 10. Wouldn’t it be suffice to understand the reality with results without the help of mischievous politicians and the so called ‘analysts’. Simply, in urban, sub-urban and in the village, they voted en masse not for Pohottuwa candidates, but for Mahinda Rajapaksa. The conclusions are being interpreted in all possible forms. Winners being confirmed losers, and losers are made winners depending on one’s point of view and biases. Whichever way the result of the competition is understood, the fact is that it has shocked the entire political institution. Accordingly, the current focus is how to bring into line forces and continue to remain in power. However, there is a clear message in the election results. It is the anger of the people for disregard for their concerns and priorities. It reflects a vast detachment between the voter and their representatives and the civil society activists who persuade them. and Red – an unacceptable result, there is a problem that needs rectification. 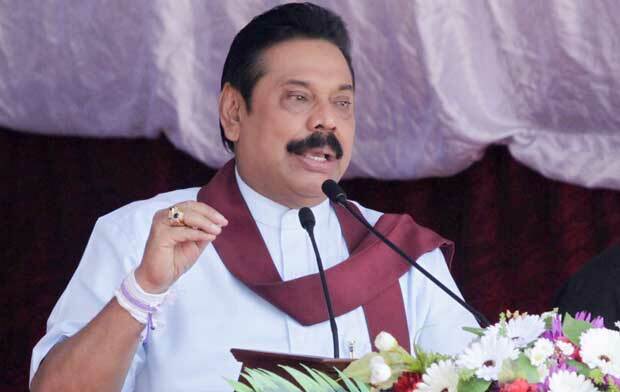 Some believe it is not a red light to National Unity government—is Amber for the Rajapaksas to get prepared and await the Green. The majority of our politicians; this applies to all Parties, are good for nothing scoundrels who cannot be trusted. Since the few, so-called good men have done nothing to dispose of or remove the bad ones; therefore, they too cannot be trusted or depended upon. There are no statesmen or leaders among the educated and uneducated politicians, but only totally corrupt [the educated are even worse, for they know how to plan meticulously and getaway—the sophisticated art of doing things] who are in the political game for abusing their power for the purposes of making money. Now they are talking about drastic changes, but in view of crucial issues before them no changes can be envisaged. The worsening political values over decades obviously identify disappointment in the future. 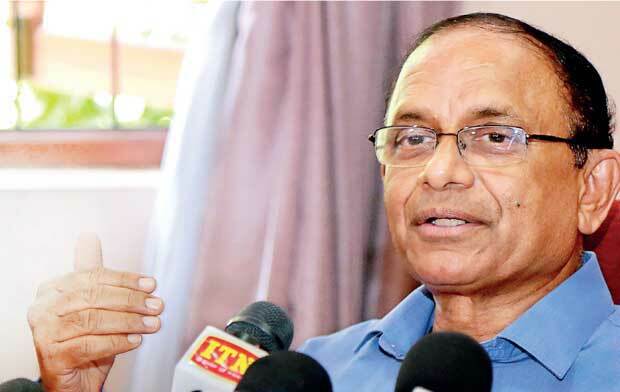 As reported in media, National List MP Dr. Jayampathy Wickramaratne, the Constitutional expert and architect of the 19A has said that it guaranteed the continuance of the cabinet and Prime Minister Wickremesinghe. He further stressed that the 19A disallowed the President making his discretion on critical issues at a crisis. Dr. Wickramaratne believed the Amendment had reinforced the parliamentary powers [ over that of Executive Presidency?] 19A is certainly adequate to disappoint likely movers against the national government. Cabinet appointments or removals, according to him couldn’t be made without the consent of the PM. 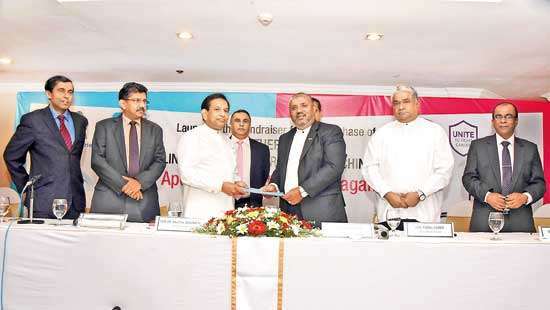 Dr. Wickramaratne has assured that provisions had been incorporated to guarantee government’s stability. 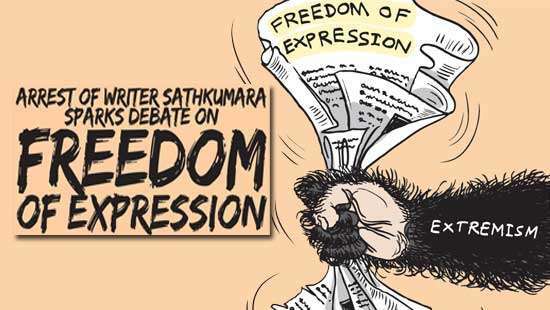 It is laughable that some analyst advocate the failure to prosecute Rajapaksas and their cronies before law as a reason for the high percentage of votes received by Rajapaksas and their cronies. Doesn’t it sound idiotic? 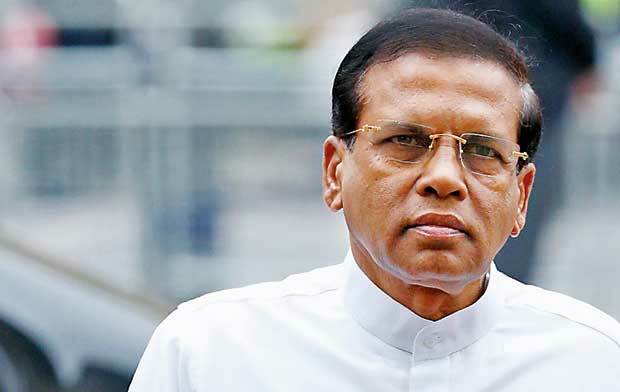 SLFP’s Maithri faction had been asked by President Sirisena to remain with government for the Supreme Court interpretation of the 19A giving authority to him to remove Ranil Wickremasinghe as PM, as announced by Thilanga Sumathipla in Parliament on Monday. President Sirisena it seems to continue his ‘acrobatics’ under stress. 19th Amendment says:- 42. (4) The President shall appoint as Prime Minister the Member of Parliament, who, in the President’s opinion, is most likely to command the confidence of Parliament. 46. (2) The Prime Minister shall continue to hold office throughout the period during which the Cabinet of Ministers continues to function under the provisions of the Constitution unless he - (a) resigns his office by a writing under his hand addressed to the President; or (b) ceases to be a Member of Parliament. However, there is a little ambiguity with regard to Prime Minister’s position that exist in two articles in the 19A, as quoted below which needs expert attention. 47. (2) Notwithstanding the death, removal from office or resignation of the Prime Minister,….